The season may be still in its infancy, but already alarm bells are ringing amongst a section of Liverpool fans, who feel it may be a case of same again under Brendan Rodgers this term. Rodgers axed his assistant manager and first team coach over the summer as he managed to hang on to his job despite a finish of sixth being recorded from a summer investment of over £100m. 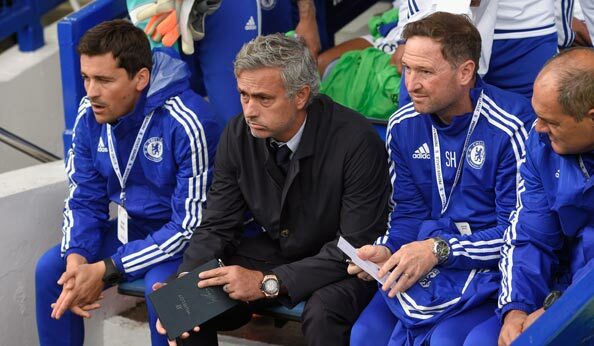 The pair were sacrificed on the altar as Rodgers vowed rebirth with him at the helm. 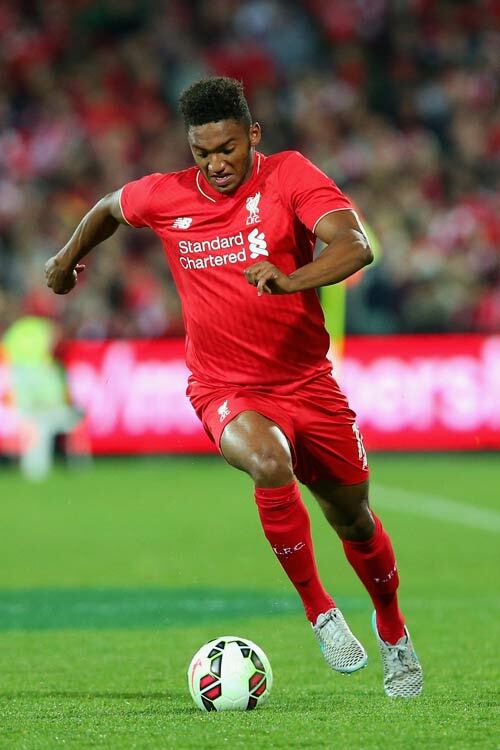 But Liverpool’s lacklustre form is already putting the spotlight onto his position. Wins against Stoke City and Bournemouth can be considered fortunate, one due to a wonder goal and the other a strike the Premier League later said should have been ruled out for offside. A good first half display in a 0-0 draw at Arsenal was tempered by the Reds hanging on at times in the second period, while a 3-0 home defeat to West Ham caused concern. Now a 3-1 surrender at Manchester United has some Liverpool fans wondering whether sacking Rodgers sooner rather than later might be the best course of action, regardless of concerns over unambitious owners Fenway Sports Group. Here are five reasons why sacking Rodgers in the near future would make perfect sense and not be a kneejerk reaction. Only three members of the matchday squad against Manchester United were not signed by Rodgers – Martin Skrtel, Lucas Leiva and Jordon Ibe. If every manager upon taking over at a club longs to shape the side with his own players, Rodgers has now definitively arrived at his destination with a dressing room packed with his picks and full of players who owe their position at Anfield to the Northern Irishman. As such, Rodgers has exhausted his excuse bank in this regard and the side’s performances are a direct reflection on not just his coaching ability, but also his eye for a player and fitting them into his desired system. Despite grumbles from Rodgers’ loyalists about a transfer committee, no player at Anfield would have arrived without the manager signing off on it. An important facet of management is identifying when a player needs replacing. Perhaps the player simply isn’t up to the mark or maybe signing an improvement is just a no-brainer as so many candidates would offer a step up in quality in the position. Simon Mignolet’s case is less akin to that of Massimo Taibi at Manchester United, who Sir Alex Ferguson concluded after a handful of games did not cut the mustard, but more like that of former Liverpool goalkeeper Sander Westerveld. For Gerard Houllier, Westerveld was fine up to a point, but when the Reds warded off imminent danger of being dragged into fighting for seventh or eighth, he outlived his usefulness. Westerveld played the full 1999/2000 and 2000/01 seasons before being moved on as Houllier looked to upgrade his goalkeeper. 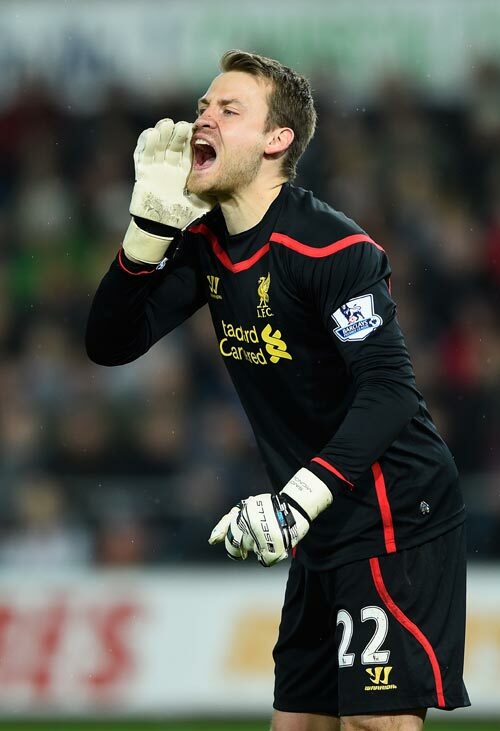 Mignolet has clocked up all the 2013/14 and 2014/15 seasons – but is now poised to complete a third as first choice. Rodgers identified that the Belgian isn’t top notch by dropping him for Brad Jones, now of Bradford City, itself a huge indictment. Now, two full transfer windows after that happened, Mignolet is still lining up as the Reds’ number 1. Why? One argument often made for keeping Rodgers is the lack of viable alternatives. Moving away from the counter-argument that finding someone to replace a manager without a single major achievement in the game should not be a difficult task for a half-competent board that know the game worldwide, is a single name anyone not blinkered by holding a season ticket at Goodison Park can agree would be hugely better – Jurgen Klopp. The German is taking a break from the game, but has made clear that he is expecting to become involved again. He also recently sent the most easy to decode coded signal that Liverpool would have more than a chance of securing his services by insisting he does not necessarily have to return to the game with a club at the top of the tree. If Liverpool wait, then as on the new stadium front, time will pass them by and a more forward-thinking club will snap up Klopp. 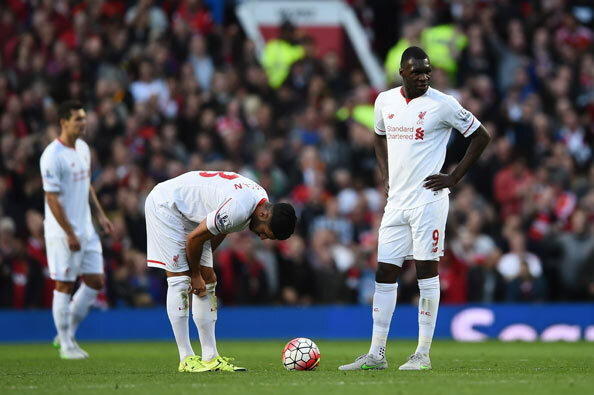 If the club’s owners can’t see that Liverpool fit into Klopp’s “need help” bracket, then maybe they should go, too. Yes, money talks and it can be argued Liverpool for their wage bill should be floating around fifth or sixth, though the amount of cash splashed on transfer fees points to another story. But even so, there has never been a better time to push into the top four and beat the odds. Arsenal steadfastly refuse to spend, which not only leaves holes in their squad, but also guarantees that when injuries strike, as they must be expected to do over the course of a long season, they will have a slump. Manchester United are still feeling their way under Louis van Gaal and there is little to suggest they are formidable opponents who cannot be overcome while Chelsea have made a terrible start to the campaign. Although the Blues are likely to pick up, they do not appear the all-conquering force of last term. The only other realistic top four challengers, Tottenham Hotspur, have not yet found an identity under Mauricio Pochettino and have a weak underbelly meaning few of their fans believe a top four finish is remotely possible. Manchester City are out of reach, but with a smart manager, someone to give Liverpool an edge, Champions League football should have been secured last season and again in the current campaign. And cementing Champions League football erodes the money gap – it’s not rocket science, is it, John Henry? Few might have believed that Rodgers, an unproven manager with only stints at Watford, Reading and Swansea on his CV, would last into a fourth season at one of the world’s biggest clubs, but despite finishes of seventh and sixth, interspersed by a Luis Suarez inspired second, the Northern Irishman is now in his fourth full campaign as Reds boss. Why then does he need to play players out of position? The squad is his, the players are his. Baffling then it must be that two left-backs, one of whom Rodgers bought, sit on the bench while centre-back Joe Gomez is deployed at left-back. Odd too that central striker Danny Ings was shifted to the flank against Manchester United. The oddities of Rodgers’ approach were picked up by Liverpool legends Graeme Souness (not as a manager, but as a player surely a legend) and Jamie Carragher. Souness meanwhile bemoaned Rodgers trying to crowbar players into positions to which they are not suited, explaining: “It’s square pegs in round holes and it just doesn’t work. You’ve got to make people feel like they’re playing in positions that they want to be in.” But the squad is Rodgers’ squad. Not having the players to play in the system a manager wishes to play after three seasons at the helm is inexcusable.